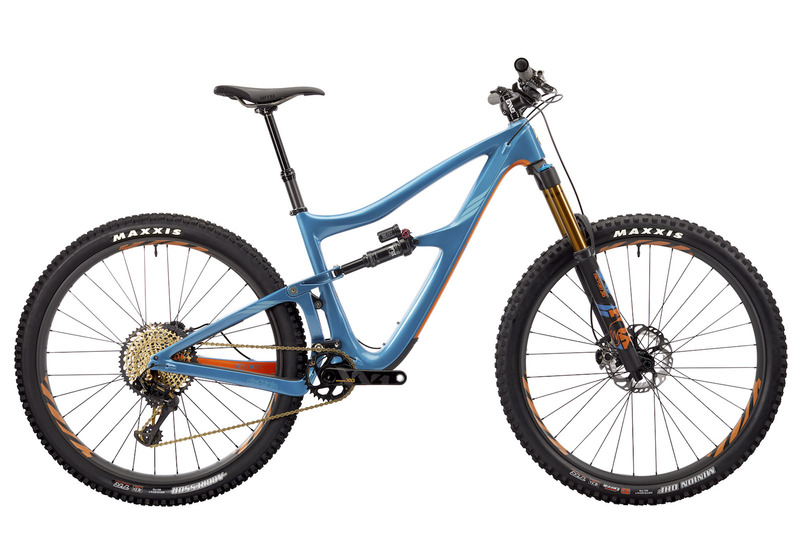 It’s like the love child of a Ripley and an HD4, the all new Ibis Ripmo is a 29r that’s always down for another lap. With 145mm of efficient dw-link travel (160mm front), a sub 6 lb frame weight, modern geometry, and clearance for a water bottle (with piggy back shock), this is the most versatile Ibis has ever built—they’ve built a lot. It’s also a terribly-kept secret…The Ripmo was spotted this past weekend at EWS where Ibis racers Robin Wallner and Bex Berona had their best finishes to date. The Ripmo’s reach is nearly an inch longer than the EWS Team winning HD4, with clearance for a 175mm dropper, and a pedal-friendly 76° seat tube angle. The rest of the features include an all-new, stiffer, lighter lower link with internal cable tunnels, clearance for 2.6″ rubber, and a threaded BB. Complete Ibis Ripmo builds start at $4,099, framesets with DPX2 shock start at $2,999.